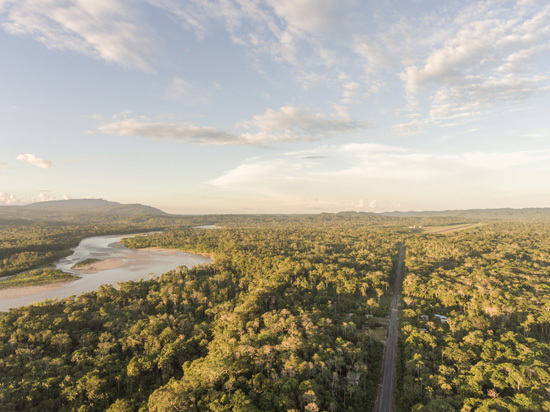 Together with the Instituto de Pesquisa Ambiental da Amazônia (IPAM), and the Foundation for Conservation and Sustainable Development (FCDS), CSF has been working on a project to simultaneously analyze the expected economic, environmental, social, and cultural impacts of the Amazon region’s major proposed road construction projects. Building upon knowledge we gained from the Roads Analysis Tool we developed in 2011, which simultaneously evaluated the impact of 36 roads in the Amazon, this project combines economic analysis, deforestation risk modeling and spatial analysis, among other methods. The results of the analysis will be synthesized as a ranking of planned roads, from those with high expected economic returns and low risk of environmental, social and cultural impacts, to those with expected low or negative economic returns and large social risks. Our goal is for this analytical work to enable governments, banks and other stakeholders to compare potential projects across a range of important characteristics, help coalesce support for good road projects, and avoid projects that present the highest risks with lowest economic payoff. In March, we held a workshop in Lima, Peru with IPAM and FCDS to define our methodological approaches. The workshop was very useful in clarifying the methods to be used and the availability of information at the national and regional levels, and detailed discussions helped to define clear roles and responsibilities among institutions. The workshop also helped to better visualize how the data collection process will be carried out in the various countries, which include Bolivia, Brazil, Colombia, Ecuador and Peru, taking into consideration that availability of information may vary between countries. We plan to have preliminary results by August of this year, and complete the full analysis and dissemination activities by December. This project is generously supported by the Gordon and Betty Moore Foundation.